Unknown. July 16, 1917. 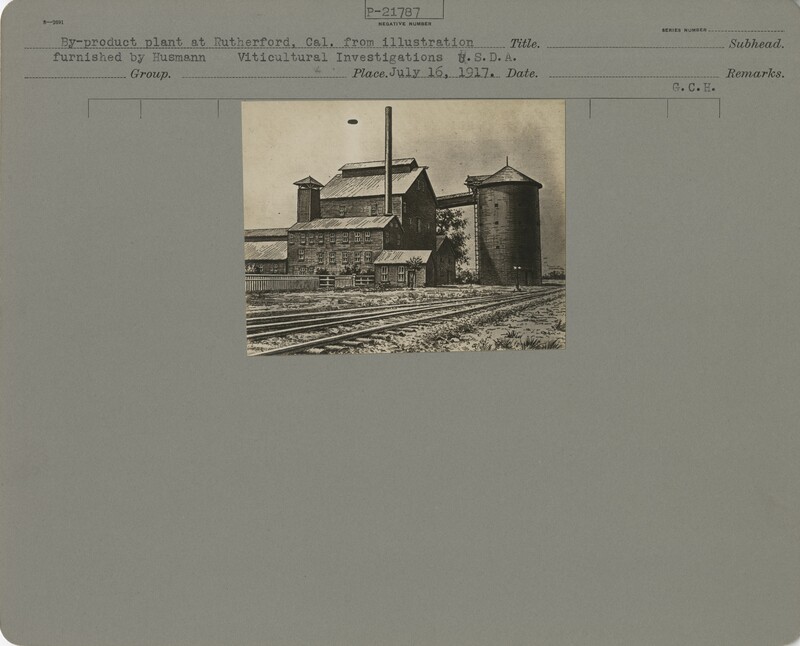 “By-product plant at Rutherford, California from illustration furnished by Mr. Husmann, 1917.” Special Collections, USDA National Agricultural Library. Accessed April 25, 2019, https://www.nal.usda.gov/exhibits/speccoll/items/show/12506.